As health care needs continue to change and access to health insurance continues to increase, the need for qualified nurses, including LPNs, is only expected to grow. The Bureau of Labor Statistics reports that over 5,900 LPNs were employed in Nebraska as of May 2014. By 2025, the US Department of Health and Human Services projects the state will be short more than 2,600 LPNs. This impending shortage is due in part to current nurses reaching retirement age, creating many job opportunities for prospective LPNs. Those interested in pursuing this career path can find helpful information on LPN programs in Nebraska, the required steps for licensure, and salary and employment trends across the state. Practical nursing programs in Nebraska are offered through community colleges and technical schools in rural and urban areas alike. Whether seeking a small campus or one with a large student population, the search tool below can help prospective nursing students find a program that meets their unique needs and preferences. Browse through your options or choose a side-by-side comparison of your top picks to determine which school and LPN program is the right match. Because LPNs work so closely with patients and other healthcare providers, its imperative for state boards of nursing to ensure each and every worker has gone through the proper steps to be eligible for licensure. The mandated requirements for Montana are reviewed in the following section. Individuals who have completed a Board approved practical nursing program are eligible to undertake the licensure process. Before filling out the application for licensure by examination, candidates must ensure their institution has sent a final official transcript directly to the board. Once this is completed, students should fill out the application online or via paper and send it in along with a $123 application fee. They must also contact their local Pearson Vue testing center to set up an appointment to sit for the exam. Once the candidate has received an Authorization to Test notification, they are eligible to take the NCLEX-PN test. The Board estimates the entire process, beginning with the application and ending with dispersal of license, takes approximately eight to 10 weeks, provided the applicant has correctly filled out all their documentation. Annual mean salaries for licensed practical nurses in Nebraska sit just below the average for all occupations in the state, though individuals with some experience under their belts are able to make higher annual wages. Depending on where they choose to pursue their careers, LPNs can also make larger salaries. The following tables outline salary details based on experience and location. While Douglas and Lancaster counties are set to experience the highest levels of job creation for LPNs in the coming years, numerous areas of the state will see a substantial rise of positions as more and more healthcare facilities seek their skills and knowledge. Interested candidates can use the tables below to find the region best suited to their personal and professional goals. 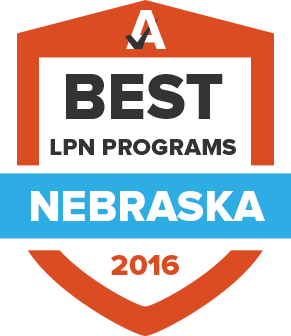 Individuals interested in pursuing a career as an LPN in Nebraska should refer to this list of 13 programs approved by the Board of Nursing. As the only official member organization representing LPNs in Nebraska, LNPAN works to advocate, educate and support professionals working in this role. IN addition to offering a helpful career center, the association also provides details on continuing education credits. The Nebraska Department of Health & Human Services has specific mandates for continuing education hours that must be completed at the time of license renewal. These requirements can be found on the department’s website. Recent LPN program graduates and first time licensure applicants use this form to apply for their license via examination. The document also provides information on all the steps they’ll need to take throughout the licensing process. The NBN serves as the regulatory body for all LPNs and Registered Nurses throughout the state. Information about licensure can be found on their official website. This organization serves as the prime source of information and research on healthcare professions within the state of Nebraska and offers valuable insight into the state of the industry. The NNA offers a range of benefits to its members, including advocacy efforts, education support, an annual conference, and job listings.